Delightful village house with sensational living kitchen, which has been improved with considerable style in recent years. General - 2 Hunters Walk is a delightful village house with a sensational living kitchen, which has been improved with considerable style in recent years by the present owners. The focal point of the house is the fabulous living kitchen with stylish base and wall units including an island with granite work surfaces. There is a large, elegant sitting room, a study and to the first floor an impressive master bedroom suite, three further double bedrooms and a luxurious contemporary bathroom. Outside, there is a part walled garden and detached double garage. Location - Witherely has two popular public houses and primary school.The village is close to the A5 with excellent access to Birmingham and Coventry. There are more comprehensive amenities in the historic town of Market Bosworth to the North East where the Dixie Grammar School is located and Atherstone to the South. There is also a highly regarded private school at Twycross and mainline railway stations at Nuneaton and Tamworth. The House - The accommodation is arranged over two floors, as follows. Reception Hall - The reception hall has a tiled floor and balustrade staircase rising to first floor. Doors to the main reception rooms. Cloakroom - Low flush lavatory and wash hand basin set in vanity unit. Chrome ladder style towel rail and tiling to the floor and walls. Sitting Room - 21'5"(+bay) x 12'4" (6.53m ( +bay) x 3.76m) - This is a very impressive room, the focal point of which is the fireplace housing a wood burning stove, with heavy timber over and slate hearth. There are sliding patio doors opening onto the garden, central heating radiator and a bi folding door opens into the living kitchen. Study - 11'1" x 7' (3.38m x 2.13m) - Feature wall. Central heating radiator. Living Kitchen - 20'3" x 14'2 (6.17m x 4.32m) - (the latter measurement reduces to 9'). This is a fabulous open plan living space. A bespoke kitchen has recently been fitted and all of the cabinets are oak, some of which are painted, with soft closing doors and drawers, granite work surfaces and natural stone tiled splashbacks. Integrated appliances include a wine fridge, two "Neff" eye-level ovens, a "Neff" combination oven and coffee machine. There is a fridge/freezer by "Bosch" and an integrated washer/dryer.
. - The island unit, with its painted oak fronts, creates a lovely contrast to the natural oak units and incorporates a Belfast sink and a dishwasher by "Bosch". There is also a breakfast bar. Particular attention has been given to the detailing with brushed stainless steel electric plugs, USB charging points and a designer radiator. On The First Floor - A balustrade staircase rises from the reception hall to the galleried landing. Galleried Landing - The bedrooms open off the galleried landing. En-Suite - Double size shower cubicle, low flush lavatory, pedestal wash hand basin and ladder style towel rail. Bedroom Two - 12' x 10'9" + wardrobe (3.66m x 3.28m +wardrobe) - Bank of fitted wardrobes with plenty of hanging space. Central heating radiator and airing cupboard housing hot water cylinder. Bedroom Three - 9'10" x 9'4" (3.00m x 2.84m) - Overlooking garden. Bank of fitted wardrobes with shelves to one side. Central heating radiator. Bedroom Four - 9'3" x 9' (2.82m x 2.74m) - Overlooking garden. Central heating radiator. Family Bathroom - This has recently been re-fitted with a luxurious free standing bath, low flush lavatory and wash hand basin. There is natural stone tiling to the walls and floor and a ladder style towel rail. Outside To The Front - A path with lawn to either side leads to the front door. A shared driveway leads around the side of the house to the Double Garage. Detached Double Garage - Electric roller shutter door and door to the garden. Please note there are two parking spaces in front of the garage. Outside To The Rear - The main garden is part walled. Immediately adjoining the house is a large patio. The garden is predominantly lawned with flower and herbaceous borders. 2. Any areas, measurements or distances are approximate. The text, photographs and plans are for guidance only and are not necessarily comprehensive. It should not be assumed that the property has all necessary planning, building regulation or other consents and Fox Sales and Lettings have not tested any services, equipment or facilities. Purchasers must satisfy themselves by inspection or otherwise.  Fox Sales and Lettings is a family business owned by Anthony and Angela Fox. We are one of the few agents in Leicestershire to be regulated by both the Royal Institution of Chartered Surveyors and the Association of Residential Letting Agents.